How do I locate and convert order quotes? 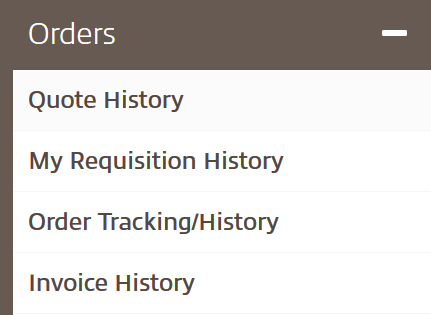 Locating and converting recently created order quotes is a simpler process than you might think. Let’s walk through the steps you’ll need to take to convert a quote to an order. When you log in or punch out to the insight.com e-commerce platform through your company’s Enterprise Resource Planning (ERP) system, open the Orders menu and select Quote History on the left side of the landing page. You’ll see a list of your last five recently created quotes. If the one you want doesn’t appear in the list, use the Quick Search option to search by quote name, quote number or reference number. Alternatively, you can use the Advanced Search option to sort by date range or other filter options. If your quote is expired, contact your account team to adjust the dates. To convert the quote to an order, scroll to the bottom of the details and click the Convert Quote button under the total price to load the quote to your shopping cart. Once the item(s) has been loaded to your cart, you can click the Checkout button to place the order. Or, submit the cart to your procurement system if you’re a punch-out user. You can convert or load multiple quotes into your shopping cart before proceeding with your order, but you can only use one shipping location per order. See how to place an order or schedule a free demo for more information. 1 Today’s price is your company’s current online price. 2 If you need a deleted quote to reappear on insight.com, contact your account team.